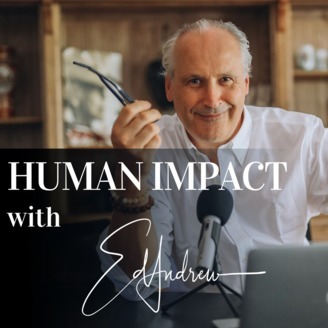 Ed Andrew hosts Human Impact with current and future world leaders who are sharing their story of bringing humanity to work and life. 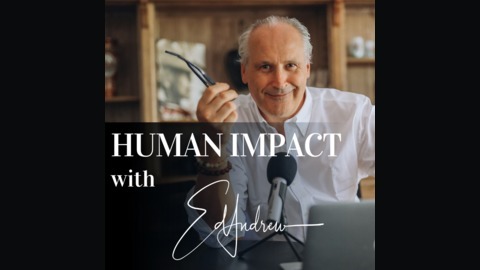 Hosted by Ed Andrew a former lawyer and life long entrepreneur who has founded businesses in UK, India, Australia and Indonesia across industries. A weekly show with guests changing the world for the good in their chosen fields, entrepreneurs, environmentalist, neuroscience, ex lawyers, psychologists, elite athletes, authors, educators, scientists and technologists. They share with you their personal journeys and insights on life and work, the things they love that inspire them and the battles they have fought. Loren Trlin is a human behavioural specialist, serial entrepreneur, an ex-lawyer and a Life Purpose Alchemist and I'm here on this beautiful planet to love, learn and grow. My life purpose is also, funnily enough, to help you find your purpose so that you live your own definition of happiness and success. ​Loren is an Australian living in Beverly Hills, California she had a personal awakening at the age of 23 when her dad passed away and then decided that she was only giving life according to her rules. Loren has had 6 businesses and have failed at a few of them and one of the good ones is the modern alchemist and she talks to Ed Andrew about the power of manifestation moving from possibilities to actuality, realising visions which enabled her to work with celebrity A list clients.